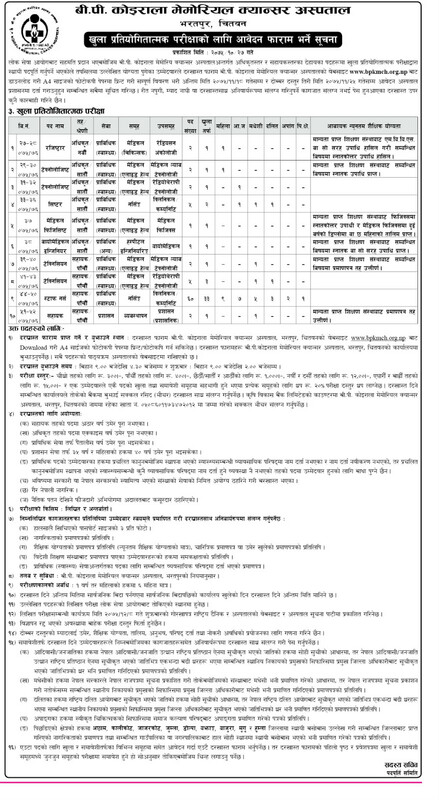 B.P Koirala Memorial Cancer Hospital, Bharatpur, Chitwan calls for application in 82 vacant positions in different positions via open competition. Qualified candidates are requested to download the application form from http://www.bpkmch.org.np/ and fill the application form by Falgun 18, 2075 with regular fee and by Falgun 25, 2075 with double fee. Information regarding written examination schedule will be published on Chaitra 08, 2075.